part three iscusses some of the practice approaches that have been identified as holding promise in addressing low levels of offender readiness are discussed. 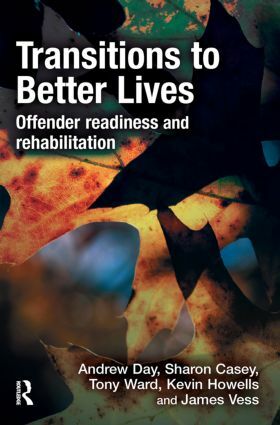 Included within each section are contributions from a number of authors whose work, in recent years, has stimulated discussion and helped to inform practice in offender rehabilitation. This book is an ideal resource for those who study within the field of criminology, or who work in the criminal justice system, and have an interest in the delivery of rehabilitation and reintegration programmes for offenders. This includes psychologists, social workers, probation and parole officers, and prison officers. Part One What is Treatment Readiness?